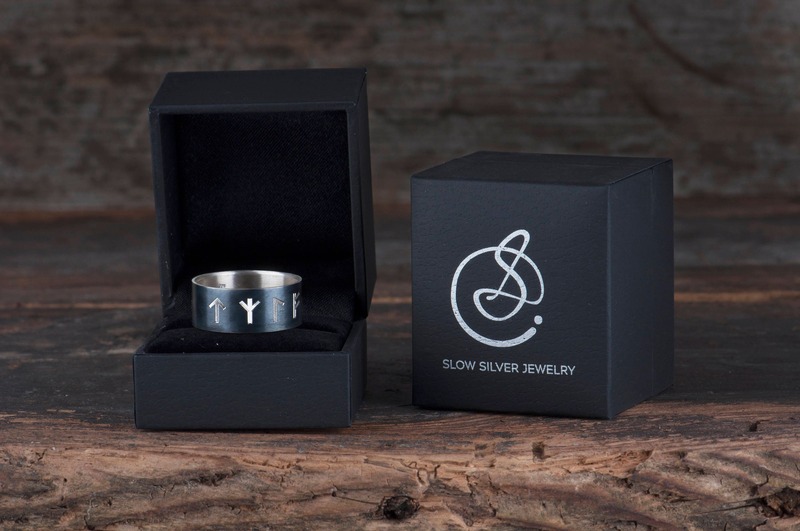 Are you looking for some special gift for somebody who is an admirer of Norse mythology, Nordic history or is simply great fan of the Vikings? 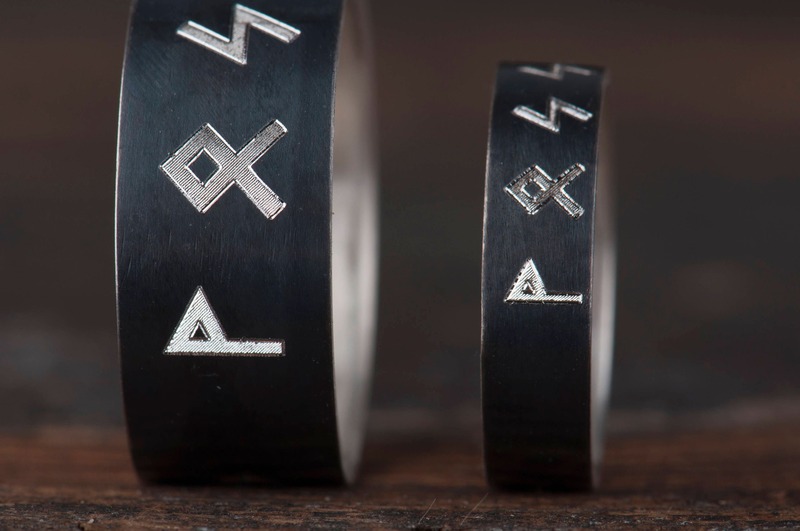 I offer you oxidized sterling silver band with runes. 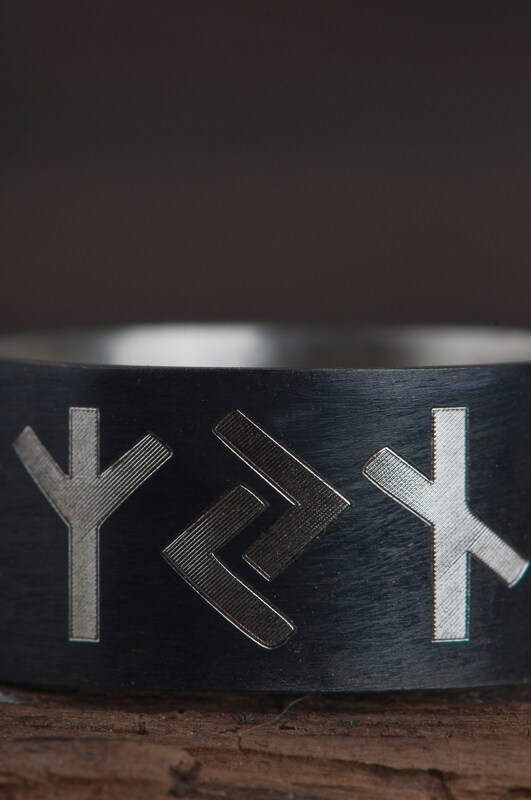 To make it I use the Elder Futhark alphabet. The band can be engraved with words of your choice - for example name or short phrase. 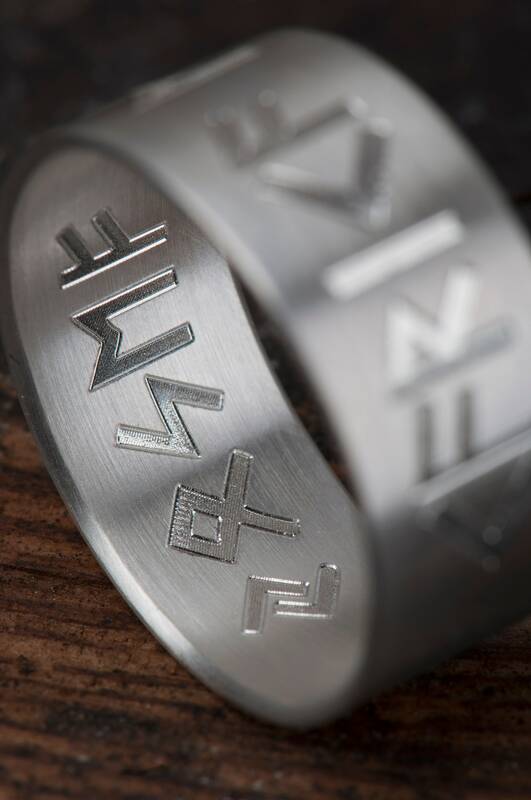 If you wish I can also engrave on the inside of the band a short sentence in Elder Futhark alphabet or regular (Latin) lettering. You can also choose a sterling silver band with or without oxidation. 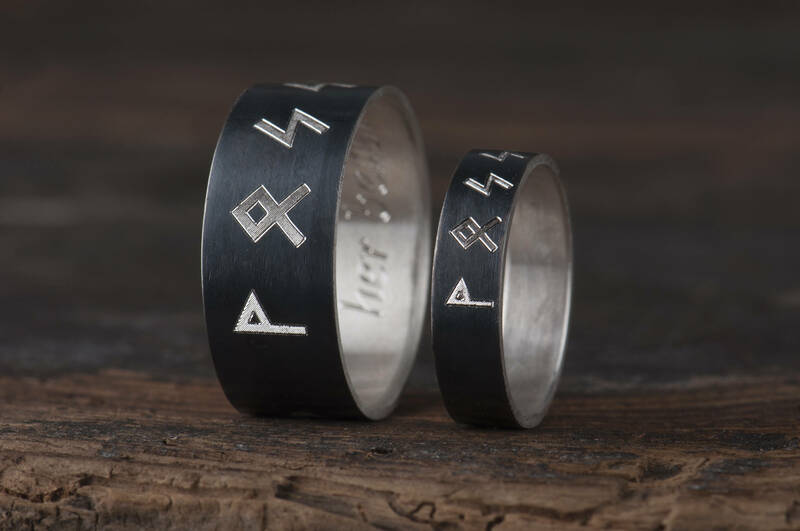 We can personalized together this runes ring and make it meaningful and unique. It will be a great gift for women as well for men. 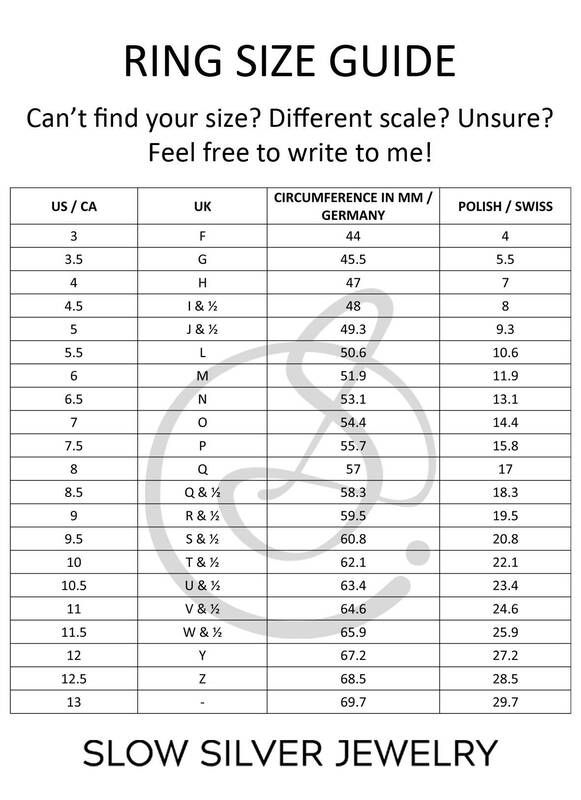 If you have any doubts, the best moment to write to me is before placing the order - I'm gladly answer all your questions, for example how many letters fit on the band. If you decide to purchase, please send me a message on the checkout with a phrase you choose. 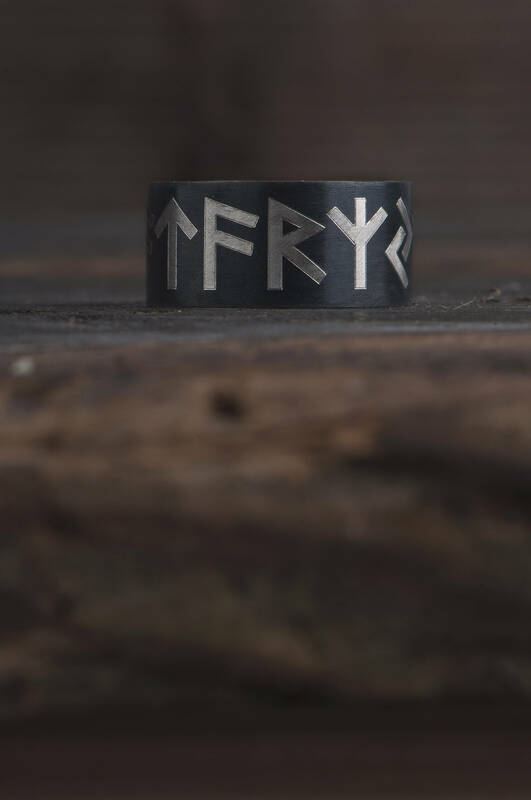 After ordering this Pagan Band please stay in touch with me. I may want to contact you just to clarify the design and to make sure it’s exactly what you are after. Your order will come in a black jewelry box, ready to give. 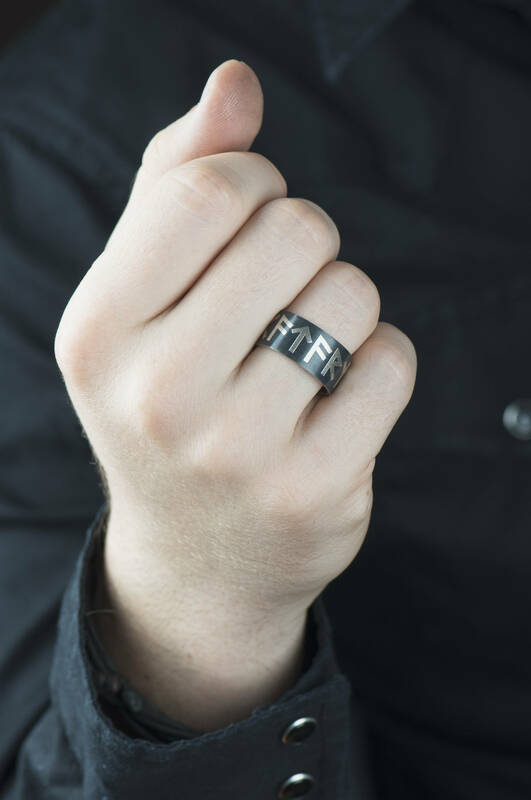 I can ship it to a third party if you wish your ring to be a gift. Just let me know and I will include a special card with a personal message from you inside the box. 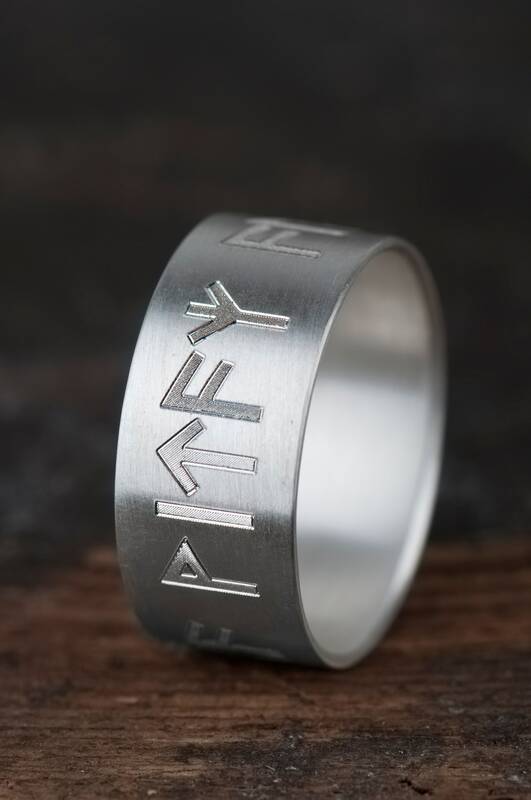 This runes ring is handmade, I need up to 7 days to finish and ship your order. Absolutely love it ! It is very well made and was delivered very quickly Thank you !